NEW YORK—Amid talks of "possibly adding a 32nd team" to the National Football League, Commissioner Roger Goodell was reminded by aides Tuesday that the Jaguars have been playing in the AFC South for more than a decade. "Oh, right, of course! The Jaguars," a sheepish Goodell said at a press conference originally called to discuss possible new NFL cities. "Teal, right? But not the Panthers. Teal, cats, not very good—you can see how we got that wrong. We will certainly be making internal adjustments to ensure we don't forget them again." 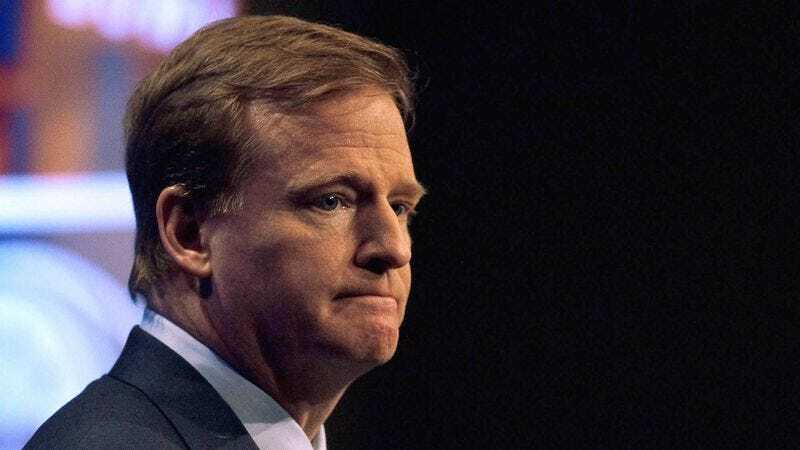 Goodell did say, however, that the NFL was still interested in someday fielding a team in a large warm-weather city such as Los Angeles; San Antonio, TX; or even Jacksonville, FL.